Sofia Digital is at IBC2017 and we welcome you to meet us there during 15-19 September. Don’t hesitate to contact us and propose a meeting! 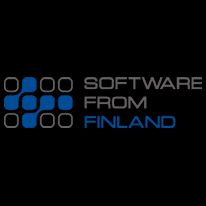 You can also contact directly our COO Mr. Mika Kanerva, mika.kanerva@sofiadigital.com, who will be at IBC during the show, or CEO Mr. Ari Pöyhtäri, ari.poyhtari@sofiadigital.com, who will be at IBC during Monday and Tuesday. 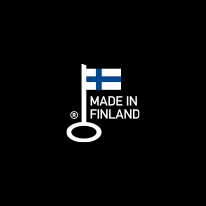 Our latest technology is presented at booth 5.B68 with another Finnish company Teleste. With Teleste we are showcasing Sofia Backstage integrated with Teleste Luminato’s application module. More about our showcase and other ongoing developments in our regular newsletter below. 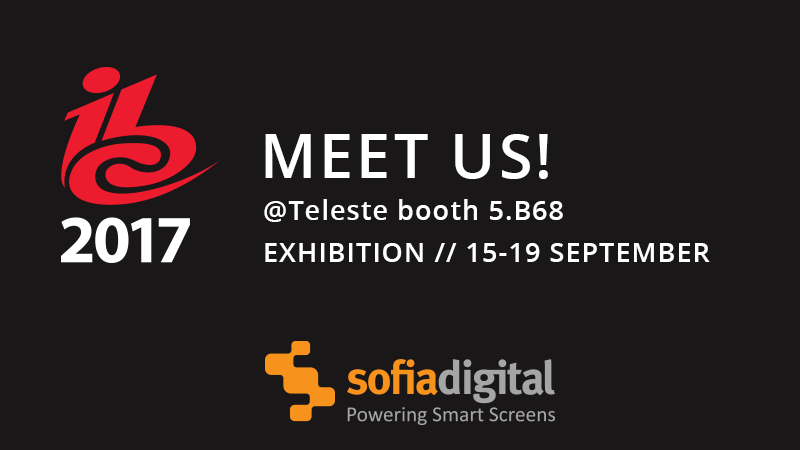 Sofia Digital and Teleste Corporation, a leading provider of video and broadband technologies will showcase at IBC2017 in Teleste’s booth 5.B68 Sofia Backstage® integrated with Luminato head-end platform open application module. The extension enables building of modern value added functionalities and OTT applications for TV service operators using Teleste Luminato chassis without any additional 3rd party hardware components. Example applications that the solution brings available include Rich EPG, VOD libraries, operator’s application portal, info services, TV subscription self-provisioning and “red-button” interactivity, etc. Read more from our press release. See also Teleste press release. The HbbTV Association has chosen Sofia Digital to implement a reference application with sample content for online streaming video to HbbTV enabled televisions and set-top boxes. Content examples would include Clear and DRM protected content, MPEG DASH with subtitles and HbbTV 2.0 features such as Ads insertion. Television watching behavior is changing globally since various TV apps enable the viewer to decide where and when to watch the content. This freedom increases the cost for content owners as the distribution and usage devices and methods increase. On the other hand it also gives new potential revenue sources and business models. There is a clear demand for versatile TV apps that cover as many different receivers and as wide population as possible. 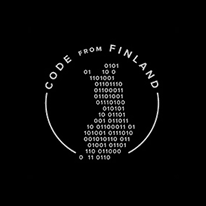 Sofia Digital has the solution for this challenge: HTML-based TV application platform. It enables reaching various distribution networks, smart TV and OTT platforms such as Android TV, Apple TV, Samsung and LG smart TVs, as well as all HbbTV-enabled hybrid TV networks. With Sofia Backstage product platform the content owner can maintain apps for a broad base of receivers with a reasonable investment.